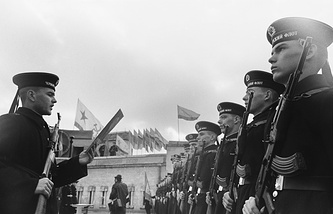 SEVASTOPOL, March 26. /TASS/. Russia’s Orekhovo-Zuyevo missile corvette belonging to the Black Sea Fleet equipped with a Kalibr-NK missile system left the Crimean city of Sevastopol and set out on its course to the Turkish Straits of the Bosporus and the Dardanelles, the Fleet’s press service told reporters on Tuesday. "According to the training plan, the Black Sea Fleet’s Orekhovo-Zuyevo missile corvette left Sevastopol and is headed to the Turkish Straits. The ship was transferred to the Russian Navy in December last year, and it is its crew’s first mission to distant waters to carry out its mission," the statement reads. Once it crosses the Straits, the vessel will join the Russian Navy group in the long-distance operational zone. It will serve alongside the Admiral Essen frigate that has been performing its mission since early March.. It will serve alongside the Admiral Essen frigate that has been performing its mission since early March. The Orekhovo-Zuyevo missile corvette is a multipurpose warship, the seventh in the series of Buyan-M vessels. Warships of this class are designated to protect and defend the state’s exclusive economic zone. These warships feature larger displacement of water and are equipped with the latest Kalibr-NK long-range precision weapons designed to strike naval and coastal targets. 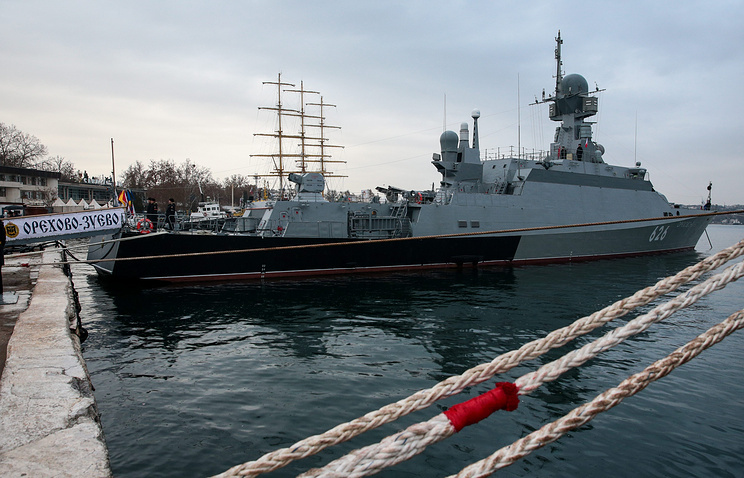 The vessel officially became a part of the Black Sea Fleet on December 10 2018 and is based in Sevastopol.